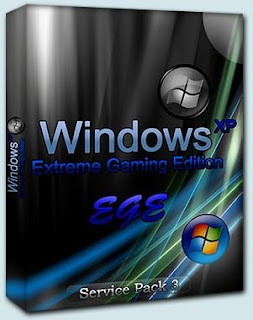 Windows Extreme Gaming only use about 37MB of Ram Memory (30MB If u terminate explorer process before play a game), after the second start when It completes all the changes. • Are updated to the last SP3, fixes an usefull updates. • Already have a SATA Drivers Pack that is loaded before the windows install process, so u can forget all the problems with ur SATA HDD. • The OS size is about 200MB, only. And 100MB of applications. There are availeables from the Booster menu.